Turns out Sybil has a siren sister, and she’s somewhere “out there” ready to cause trouble. 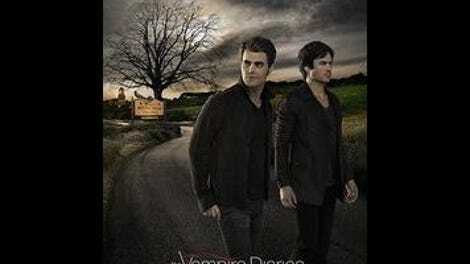 Conveniently, their sibling story is exactly like the story of Damon and Stefan. Is Stefan the “good” siren or the bad? For once, the show doesn’t put the “bad’ title on Damon, but has Stefan admit that he himself is both the good and the bad. It seems as if the show has finally revealed the actual point of this siren story: To save Damon, Stefan is going to have to kill the devil. Oh, hey, remember Alaric’s nanny Celine? Yeah, she’s the other siren sister. Which makes absolutely no sense in reference to anything she’s done as a character so far, but let’s just go with it. Apparently she’s a very patient siren who is willing to take care of children while biding her time and waiting to show off her true evil nature. The most interesting thing Georgie did on this show was die, because after Celine killed her (and snacked on her dead body, gross) she got dragged into hell exactly the same way Katherine did. If this season ends up in hell somehow, can we please, please, please see Katherine again? Please? What’s Damon doing while Stefan and Alaric have Sybil caged up at the Armory? Oh, just lighting wife murderers on fire and searching for some sort of family heirloom that Sybil needs. 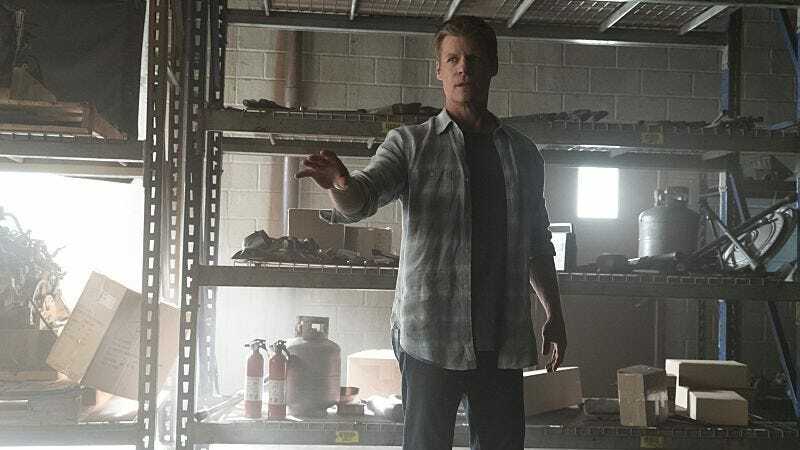 That family heirloom is in the possession of none other than Matt Donovan’s long-lost father, which means the return of Matt Donovan, who enters by shooting Damon right in the stomach. Also, Matt got a haircut! Hi Matt! Worse than tossing off Tyler’s death last week in the final scene was the way his death is revealed to Matt here, with Damon using a lie that he’s still alive to get Matt to stop torturing him. This gives both the audience and Matt false hope, because when Matt finds him he is very, very dead. Cold-blooded, show. Everything I know about sirens I learned from reading a Wikipedia page, but it seems like TVD is essentially creating their own siren mythology from the ground up, which is probably a good idea. I’m not sure the mythology is actually good yet, but pulling in the Devil as the final big bad (or a figure that is essentially the same as what we collectively think of as the Devil) is appropriately high stakes for the final season, and hell at least has a precedent on this show, if the way Georgie was dragged away means what I think it does. If what we saw as the other side could exist, why not hell? The biggest question about hell on this show is that if there is an actual hell, how does the show justify not having almost every one of these characters end up there? It’s an interesting test of what has been a very flexible morality scale on the show’s part in the past.